Missionary Testimonies | Get the Word Out! We first heard of Mary Jean Powers and Get the Word Out! several years ago. I was excited to learn she was interested in a mission trip to the Navajo Reservation. Little did I know God was planning to use Mary Jean and GWO! in very powerful ways. Mary Jean’s first question to me was, “How can I help you and the ministry at Many Waters Mission?” Knowing what her ministry was all about, I felt God was about to answer an urgent prayer. “BIBLES for our Navajo!” and He used her to do just that! And, if that was not enough, He also blessed me with a friend who prays for and encourages me as well!! Part of Ephesians 3:20 says, “…exceeding abundantly above all that we ask or think.” This comes to my mind when we receive cases of Bibles from the Navajo Bible Project ~ every version, large/giant print, Bible study material, DVD’s, CD’s, teen and children’s, as well. We are like children at Christmas when those boxes are delivered! Words cannot express the joy of seeing someone get their first Bible in their own language, or one with print large enough to read, or Word CD’s for those who are blind or cannot read. We are blessed to witness the result of God’s Word on the Navajo Reservation, and it is having an impact on many. From the Navajo Reservation and Many Waters Mission…thank you, Mary Jean and everyone contributing to the Navajo Bible Project. May God richly bless you! 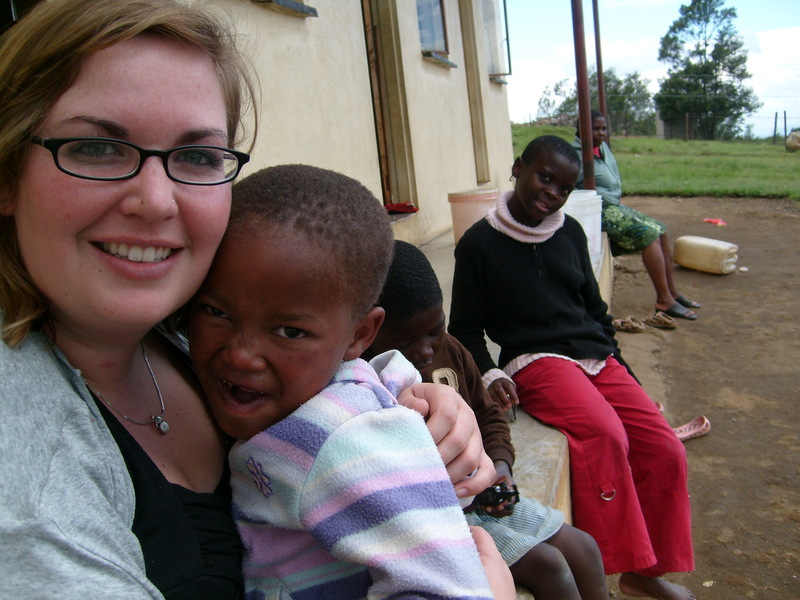 Four years ago my life took a drastic change in direction when my husband, Ben, and I decided to move to South Africa to train youth leaders in the local church and facilitate community development projects in the shanty-towns of Cape Town. We were excited, but also overwhelmed at what lay before us. We had very little idea of what it might be like to live abroad, and desired some guidance and fellowship as be embarked on this new leg of the journey. During that same time Mary Jean began hosting little dinner parties, inviting people who were somehow involved in mission work, whether it be internationally or locally. The invite was casual, there was no agenda for the discussions, it did not appear like any sort of official ‘program’, but these evenings were one of the best ‘trainings’ we could have received before we left the United States. It was a space where we able to share a meal, the struggles we had in following God’s call, practical travel and living abroad tips, encouragement and prayer. It helped us to do what God had asked of us. Three months after we moved to South Africa Mary Jean came to visit us. 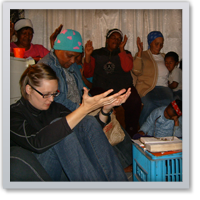 This was under the pretense of doing some teaching in the shanty-town where we were working and making some connections with the YWAM folks in South Africa, but what stands out in my memory, more than anything, was the encouragement and exhortation that she provided- the great conversations, laughter and prayers we shared. At a time when our initial ‘honeymoon phase’ had worn off and it felt hard to do what God had put before us, our time with her was invaluable and allowed us to keep serving. And man, was the laughter important. We have since moved back to the United States and, last month, accompanied Mary Jean to the Many Waters Mission on the Navajo reservation in New Mexico. Our host and guide from the Mission, LaVern, has been serving and working on the reservation for ten years. During our time on the reservation I was struck by how easy it was to slip into feeling overwhelmed and hopeless, the heaviness of oppression all around us. As we spent time with LaVern I began to see what a struggle it must be to fight against that heaviness everyday, to chose hope over hopelessness, to encourage life when it seems like everything around you is dead, to chose love over impatience and indifference. It reminded me of how it felt to serve in South Africa many days. After our time there, the importance of Mary Jean’s presence was overwhelmingly apparent. She has been visiting LaVern on the reservation for 3 years, and now they have a treasure trove of happy memories. It seems like LaVern rejoices in Mary Jean’s arrival, eager for the encouragement, fellowship and ministry that arrives with her. LaVern can share about the people she loves on the reservation, knowing that Mary Jean is a kindred spirit who has met them and loves them, too. This too, reminded me of our time with Mary Jean in South Africa, and how her time there was one of refreshment and partnership in a time when we were exhausted and lonely. The morning we left the Mission I had my camera out and I caught a beautiful image of Mary Jean and LaVern laughing together. It was then that I was struck by the huge importance of what Mary Jean does. She allows God to use her to bring refreshment, reinforcement, encouragement, supplies, Bible teaching, prayers, and laughter so that we might be able to continue serving – so that God can continue using us in the lives of others, whether it be in South Africa, Sweden, on the Navajo reservation, or in Grover, Colorado. Often, when people would ask what we needed in South Africa to help us do our work, my first thought was “People. Would you please come? Pray for more people to come.” While I knew there were many resources we needed, I also knew that what really made a difference in the lives of the South Africans I loved was the relationship that we shared. I could help them plant vegetables and teach them to read, but what really changes a community is when people learn to know and love each other. I know it wasn’t me specifically, but I was a conduit of God… the hands and feet of Christ. And, while many of the kids I knew needed shoes and books, what they really needed was a hug, words of affirmation, someone who knew them and loved them. This is what God had asked us to do in South Africa, and LaVern in New Mexico, and it felt very overwhelming some days. Thank God for Mary Jean whose encouragement through fellowship and her physical presence helped us to stay and serve. Imagine being in a foreign land far from anything familiar or comfortable, immersed in a culture and language different from your own, on the frontlines of spiritual warfare battling for victorious ground, yet far away from the support of family and friends. You’re surrounded by teammates of many nations reaching for the same goal – to bring Him glory. The war has been won! Yet the battle rages on. Together you push forward. You pour all that you are into this battle with little rest. Falling down, you reach for the energy to stand again. You’re wounded but you seek strength in the Lord. The enemy – coming to steal, kill, and destroy – is cunning in all his ways. The battle fought often in obvious ways, can turn unknowingly to attack the unity of believers causing division. Weary from battle, you dream of rest, unsure of how you arrived at your deprived state. Wishing for relief, you trudge on not knowing where to go. Now imagine a spiritual medic seeking you out among the confusion and pain. With a mud smudged face, skinned knees, and weary eyes you see a hand reaching out to help you up on your tired feet. They offer you a cup of living water to quench your parched lips, fresh bread of life to quiet your growling hunger pains, and a chair to rest your weary body. With a gentle yet direct touch they apply medicine to your festering wounds, drawing out infection that was ignored for too long. As a medical missionary in Swaziland, Africa, this battle is very real; it has become my everyday life. Some days are more victorious than others, but all too often I find myself in need of a spiritual medic to help before it’s too late. As a nurse I know that an ounce of prevention and attention goes farther than years of repair. This is where a spiritual medic, like Mary Jean, makes all the difference. 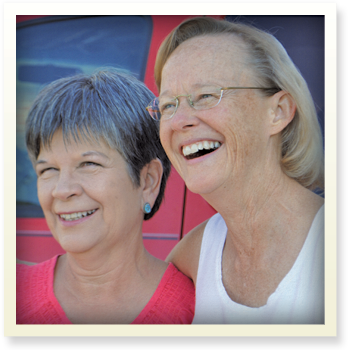 When people like Mary Jean can offer missionaries from all around the world a listening ear, advice from years of experience in life and ministry, a refreshing sensitivity to the Spirit, and a love for people to grow into who God has created them to be, it can make all the difference in the world. Instead of lifting missionaries up on a spiritual pedestal, lift them up in prayer, learn about the battles they face, send them encouraging notes, and if able, go visit them so you may also be burdened for what the Lord has burdened them with. Be a spiritual medic….